Getting your very first job is a landmark moment in the journey to adulthood, and summer break is the perfect opportunity for teens to jump into the workforce. 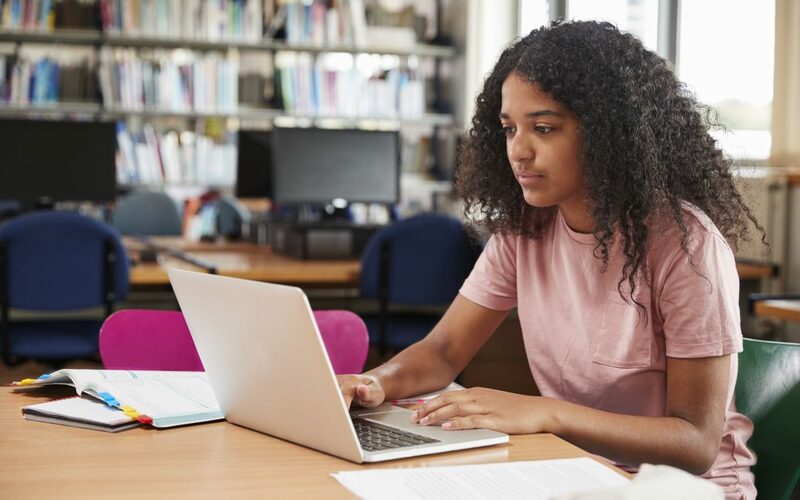 Though academics and extracurriculars should always be a student’s main focus, it never hurts to allow young adults the opportunity to gain some marketable real-world skills that will be greatly beneficial to them later in life. for teens to work for, with certain benefits like college tuition compensation, scholarships, free or discounted products, and the potential for future promotions. 1. Publix: Rated one of Fortune magazine’s “100 best companies to work for” for a consistent 20 years, Publix is by far one of the best places for teens to work. Though most positions for new workers are as grocery baggers, the company believes strongly in promoting from within and offers yearly pay raises. Publix also offers tuition reimbursement for college, university, or technical school to any associate that has been with the company at least six months and works at least 10 hours per week. 2. Starbucks: One of the largest coffeehouse chains in the world, Starbucks is a great option for teens who may not have any prior work experience. The company thoroughly trains its employees, or “partners,” to become expert baristas and offers three free drinks and one free food item per shift. On top of this, Starbucks offers 100 percent tuition coverage for partners working at least 20 hours per week who wish to achieve a first-time bachelor’s degree through Arizona State University’s online program. 3. Local Public Pool or Water Park: For teens interested in spending their summer lounging by the pool, working as a lifeguard could be the perfect option. Students as young as 15 can achieve their lifeguarding certification through the Red Cross for as little as $100, depending on the location of the class. Once they’ve been certified, students not only have the potential to earn from $10 to $20 an hour, but they’ve also gained highly important life-saving skills, such as how to administer CPR and how to respond in water-related emergencies. 4. Chipotle: The fast-casual Mexican restaurant that’s taken the world by storm offers numerous benefits to part-time employees, including a free shift meal, 50 percent off meals when not working, yearly raises, and up to 99 percent off college tuition costs. With a fun company culture and flexible hours, your teen will likely jump at the chance to eat free Chipotle all summer. 5. Chick-fil-A: As one of the most popular fast-food chains in the country, Chick-fil-A has long been renowned for its exceptionally friendly employees and its delicious chicken sandwiches. With benefits like the opportunity to earn scholarships of up to $25,000 or other tuition discounts, the possibility of a free shift meal depending on store location, the opportunity for leadership and management training, and guaranteed Sundays off, Chick-fil-A is a great option for teens who want to build their customer service skills. 6. McDonald’s: The world-famous golden arches offer a great opportunity for teens to gain experience in the food industry, plus benefits such as the Archways to Opportunity program, which provides scholarships, tuition assistance, and management training to employees. McDonald’s also offers free or discounted meals and snacks, so your teen can enjoy big macs all summer long at little to no cost. 7. AMC Entertainment: Is your teen a movie buff in the making? Encourage them to apply for a position at AMC Theatres, where they’ll have the opportunity to get free movie passes and discounted concessions. The y’ll love spending their summer watching all the latest box office hits while gaining customer service skills and having the flexible schedule they need. 8. Barnes & Noble: For kids who’d rather have their nose in a book than their eyes on a screen, Barnes & Noble is the place to be. Discounts on merchandise like books, devices, and tech accessories are just the tip of the iceberg; the company also offers tuition reimbursement for approved college courses. Age requirements vary per store, but most entry-level bookseller or café positions at Barnes & Noble start at 16 years of age. 9. Cold Stone Creamery: A summer spent beating the heat by snacking on ice cream and singing for tips? Sounds like teenage heaven. The ice cream franchise describes its company culture as positive, fast-paced, and fun, making it a perfect first job for students. 10. Papa John’s: Restaurant team members at Papa John’s have the benefit of an extremely flexible schedule on top of receiving weekly paychecks, giving your teen a guaranteed weekly income to spend on fun summer activities when they’re not at work. Plus, who can resist free or discounted pizza?